Minuscule: Valley Of The Lost Ants is one of the latest family DVD releases from Lionsgate. A movie suitable for anyone, it mixes animation and live action backdrops really well, to create a nice tale that has enough adventure to keep my boys watching throughout, and is gentle enough to be perfect for a family movie afternoon. This is a tale of excitement and peril starring a little ladybird who has become separated from his family. He very quickly finds himself attacked by some rogue insects (flies), and in the battle loses a wing. Almost defenceless and crippled, he befriends a black ant named Mandible, and joins forces with his colony to defend their nest from an invasion by red fire ants. During the defence our little ladybird spots a potential ladybird girlfriend, says hiya and promises he will return once the battle is over...awwww, just a second of romance there. I won't spoil the ending. 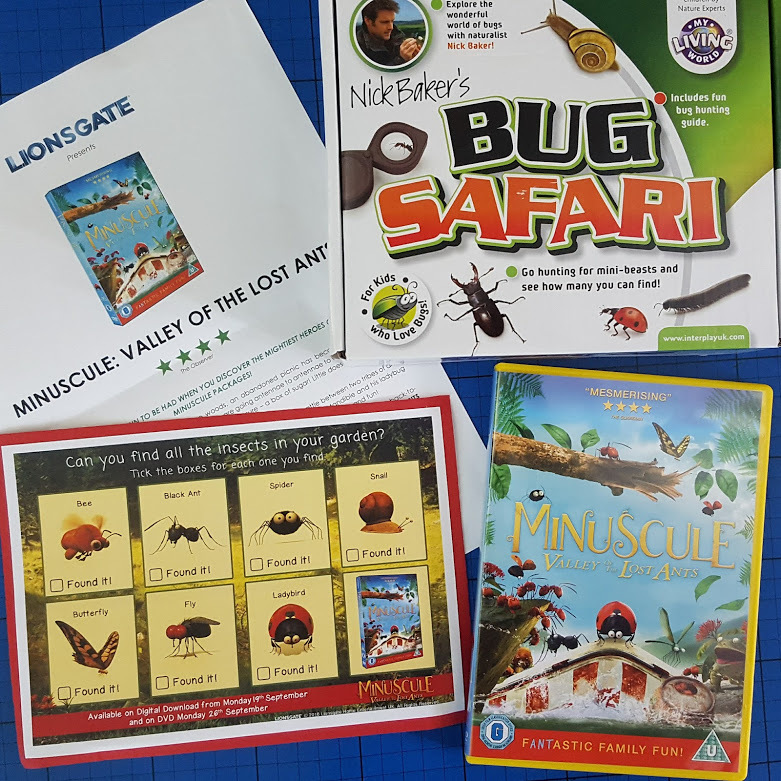 We were sent a copy of Minuscule to review, as well as an awesome Bug Safari Kit and a ticklist of creatures. My 6 year old doesn't take much encouraging to get outside and filthy, so we have a bug hunt planned for this weekend! 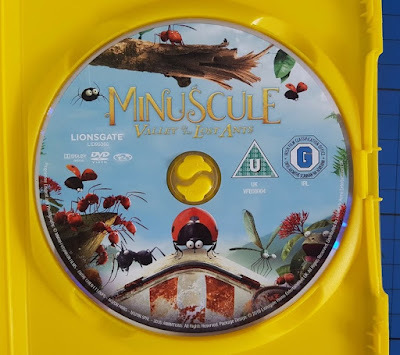 I was a bit dubious about the mix of animation and live action footage before I saw Minuscule: Valley Of The Lost Ants, but it works incredibly well. The cute little characters stand out against the beautiful backgrounds full of nature and teeming with life, but are actually subtle and not 'babyish' at all. The storyline is complicated enough to maintain an adult's interest, and isn't even entirely obvious. The 'peril' is slightly cartoony, and isn't too much for a young child, but there is enough action to excite my 6 and 8 year olds. It's a well-placed mixture that makes Minuscule: Valley Of The Lost Ants a great movie to watch together as a family. Minuscule has a runtime of 1 hour 28 minutes and a U (Universal) rating. Available on Digital Download from Monday 19th September and on DVD Monday 26th September priced around £9.99 from all good stockists in store and online including Amazon. There was me thinking I was being novel by planning to say atoms! Lol. Fine - quarks. Nits! ... sorry, a huge bug bear of mine at the moment.